Portrait and landscape iPad retina mockup template in a free PSD by Pixeden. It is a fully-scalable vector shape. Black and white versions. Free PSD mockup of an Apple 27″ iMac. Fully scalable photoshop vector shapes in two angles, from left and right. Designed by Breezi. 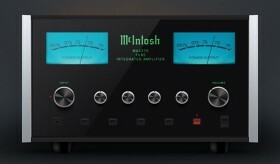 Free PSD mockup of McIntosh MA2275. It is a tube integrated amplifier designed by Paul. Really well made! PSD mockups of multiple devices (Android, iPhone, iPad, Windows 8). They can be used as icons or mockups. Free PSD designed by Armas B. Fully editable version of Google’s search page. PSD mockup made by Aubrey. It can be really useful for studying how it’s made Google. Realistic dark TV monitor free PSD mockup. You can change the background image and glowing color button for the color you want. Here is a Visa credit card PSD mockup﻿. The white card is simple but really nice, it contains name and card number. Source: Pixelpixelpixel. 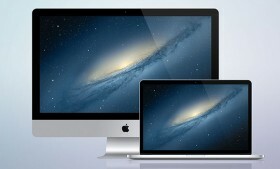 Today we want to show you the New iMac and MacBook Pro with Retina Display mockups. A free PSD designed by Jozef Mak. 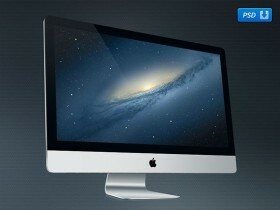 Few weeks back Apple has launched the new iMac. 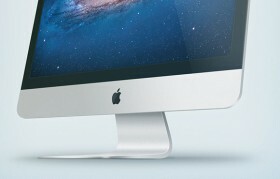 Gustav Ågren has created this awesome free PSD containing a side view of iMac. Enjoy it! 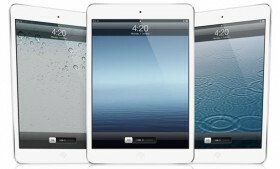 Set of iPad Mini from different angles. 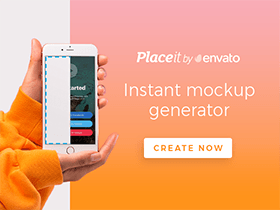 Free PSD mockup created by Jazz de Bruin.